Caption slip reads: "Photographer: Glickman. Date: 1960-08-16. Assignment: Train vs. auto, Coldwater and Raymer, No. 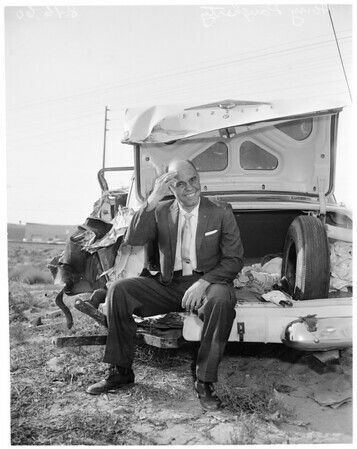 H. Harry E. Dougherty by his wrecked car. He was thrown from car when he broadsided L.A. bound passenger train this morning".